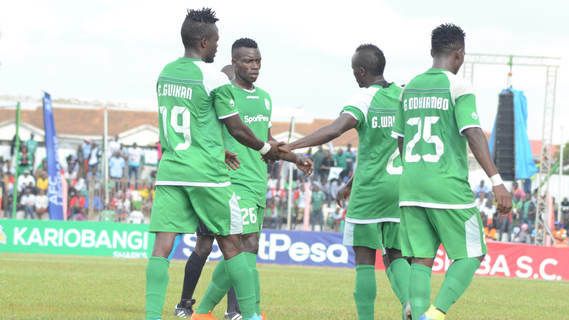 Kenyan Premier League champions Gor Mahia warmed up for Sunday’s CAF Champions League first round home tie against Nigerian champions Lobi Stars with a 4-0 thrashing of Zoo Kericho at the Kasarani Stadium on Wednesday. Ivorian forward Ephraim Guikan struck the fastest goal in Kenyan Premier League history scoring after merely 15 seconds with an easy tap in off a Shafik Batambuze cross. Guikan who is rumored to be heading out of the club made a case for himself to remain striking his second on the quarter hour mark from the penalty spot after Samuel Onyango was brought down by Sabiri Sindani. Onyango then had a goal for himself when he struck superbly into the top left of Martin Elung’at’s goal after being teed up Guikan. In the second half, Gor closed business after 70 minutes when substitute Erisa Ssekisambu who had come on for Guikan went past Elung’at from a Batambuze pass before calmly slotting into an empty net. New coach Hassan Oktay picked his first win having lost against Nyasa Big Bullets and Bandari FC and he hopes that is a tide of positive results to come. His focus now is on Lobi and he hopes his charges kick off with a win as they eye a historic place in the group stages.